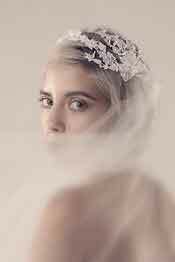 First and foremost, your wedding dress should exude the theme and there is a plethora of beautiful gowns inspired by bygone eras. 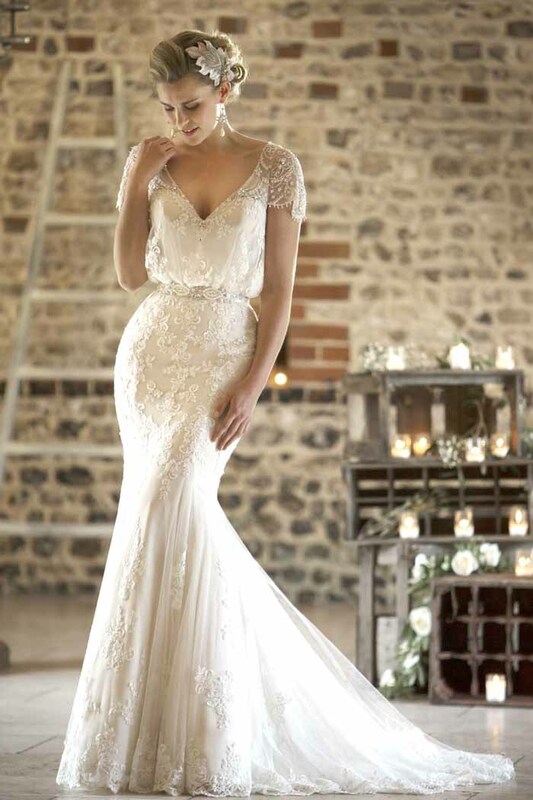 One such dress is 'W225’ from True Bride; a figure flattering design that features a plunge v-neck and hand beaded tulle sleeves, offering a nod to the decadent 1930s Deco era and available in ivory or rumpink. 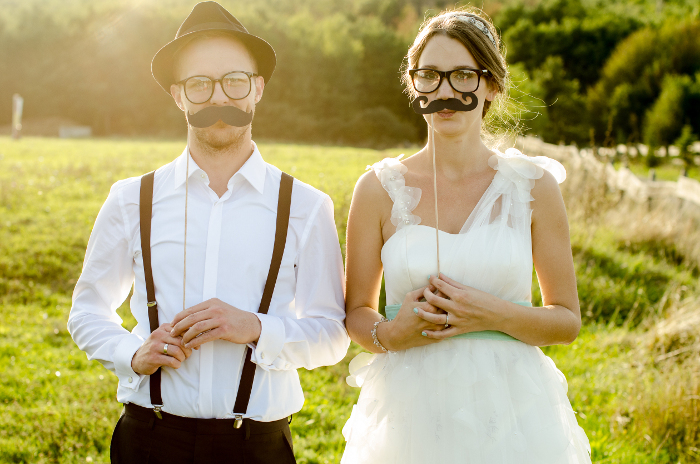 Let the theme extend to your favours with a unique and entertaining concept. 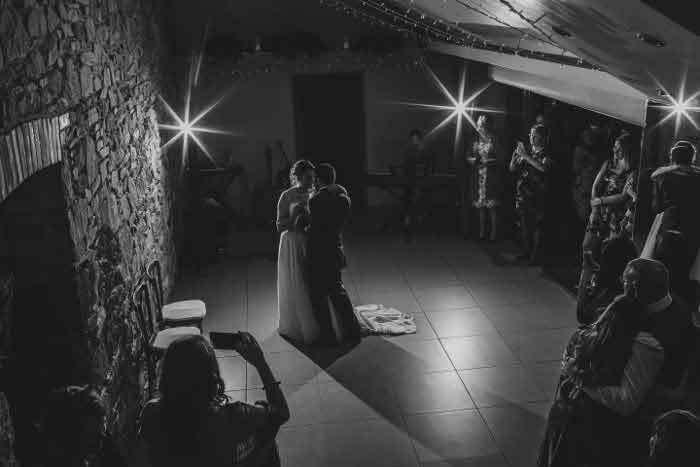 The rare 18th century art form of silhouette cutting adds style and a real 'wow' factor at weddings. 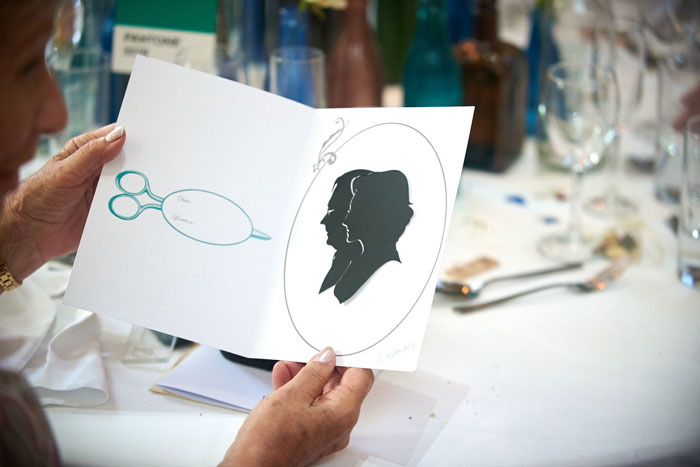 Silhouette Sarah can hand-cut a silhouette of each and every wedding guest in minutes, with the finished product presented in attractive mount cards. Looking for your something blue? 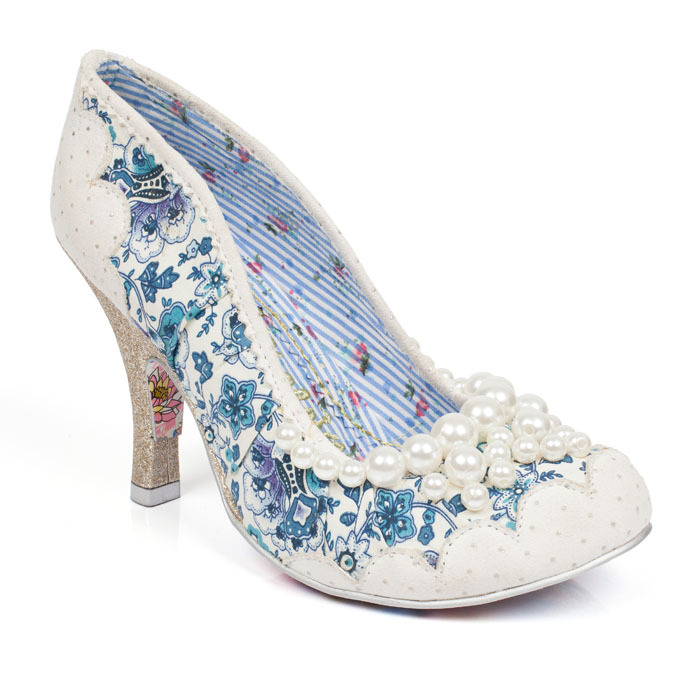 The delightful 'Pearly Girly' high heel from Irregular Choice features blue floral printed fabric with white scalloped trim and tiny pearls lining the toe. 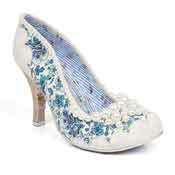 The heel is adorned with glittering gold fabric, providing an elegant finish to this lovely style. Right down to every last detail, The Duchess from Olivia Thistle features an intricately hand placed lace appliqué, delivering a delicate and feminine twist to the traditional wedding veil. 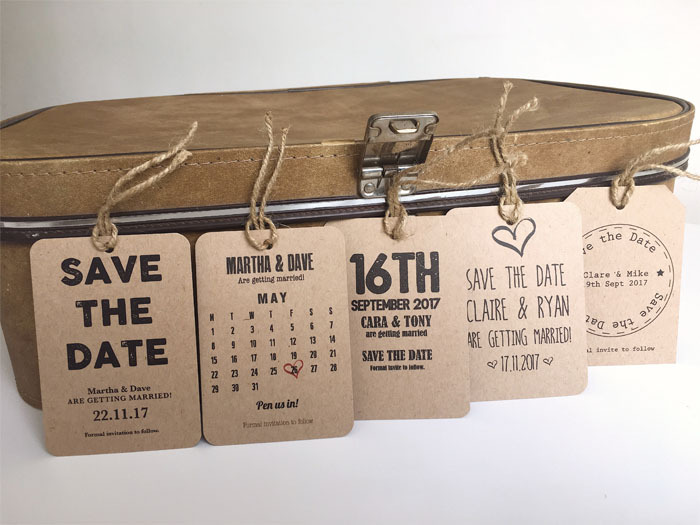 Using the right combination of style, layout and kraft paper is the way forward in creating the most beautiful vintage wedding stationery. Retro Press can create classic pocketfold invitations or a luggage tag style, both designed to remain in-keeping with your special day. Couples can also add a dash of colour to their rustic invites, depending on their taste and overall theme. 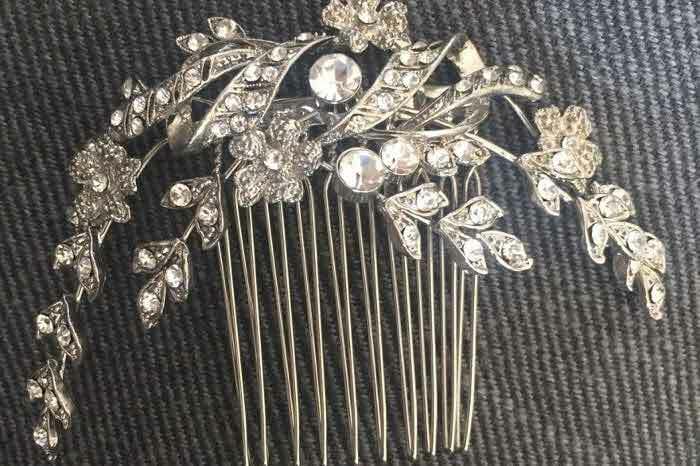 Vintage weddings are all about the accessories and the tiny details that will fail to go unnoticed. Aurora Designs Couture Headdresses designs and makes a wide range of tiaras and headdresses as well as bridal belts and decorated veils and shoes - available from La Belle Angèle Bridal Boutique in Bridewell Alley, Norwich, and perfect for a vintage wedding theme. 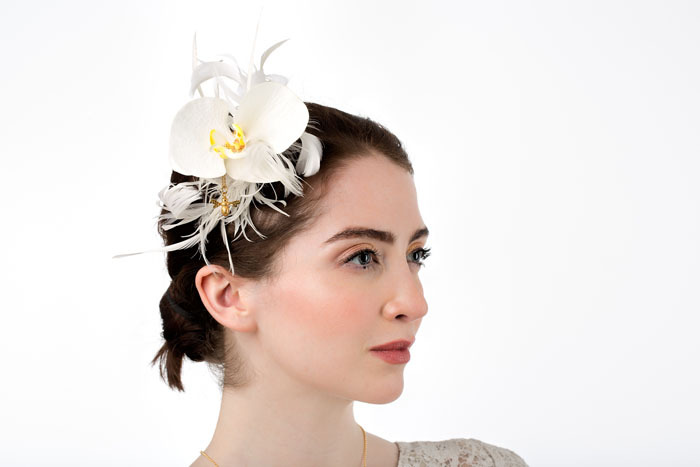 Alternatively, if you're looking for a flash of colour, this Bumble Bee Orchid bridal fascinatior from Lily Charmed is designed by Pip Hackett and is priced at £148. Fancy a touch of retro glamour with a seriously cool track list? 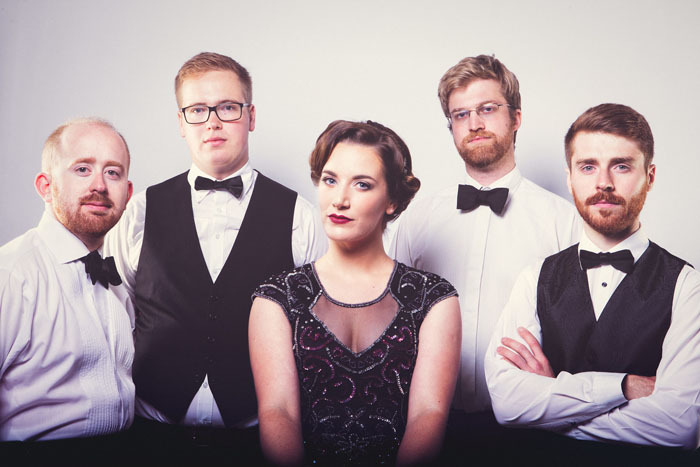 Bella and the Bourbon Boys, exclusive to Alive Network, are a jazz quintet with a difference, reworking pop songs into ingenious vintage arrangements. Fronted by the charismatic Bella and inspired by the American YouTube sensation Postmodern Jukebox, Bella and co give a retro jazz and swing spin to hits from the likes of Beyoncé, Taylor Swift, Bon Jovi and even Coolio (a swing remaster of Gangsta Paradise, anyone?). 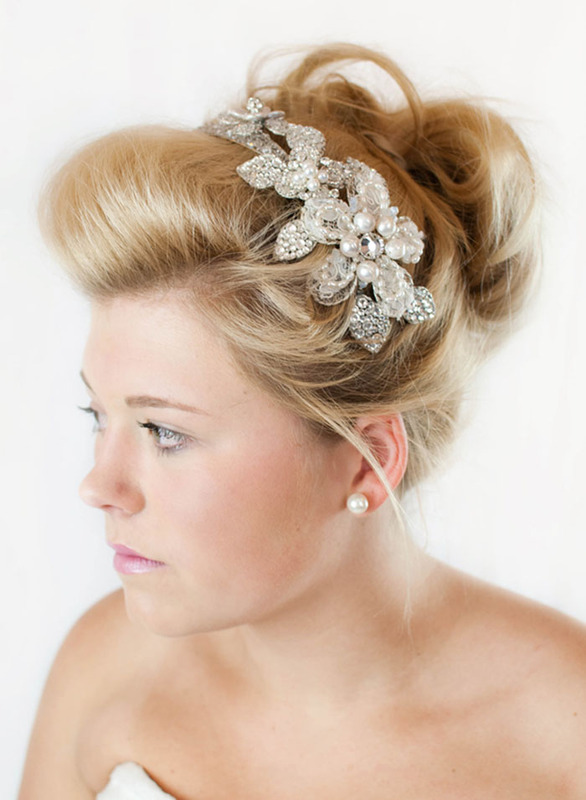 Complete your bridal ensemble with on point hair and make-up. 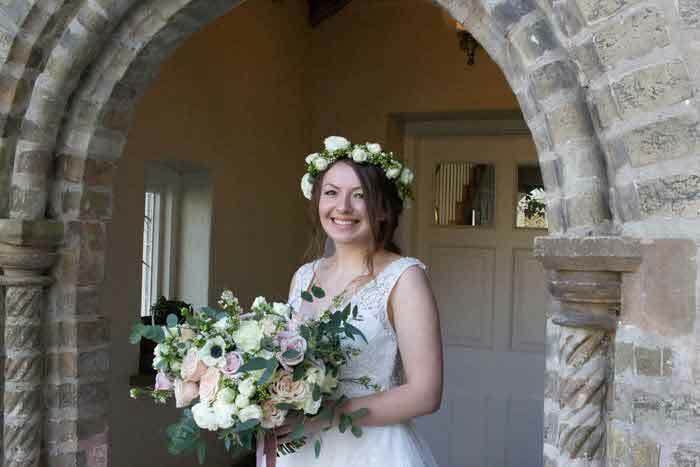 Amelia Garwood is the 2017 EDP Bride Hair & Beauty Stylist of the Year and recently fulfilled a relaxed vintage hairstyle for bride, Becki, in Southwold. 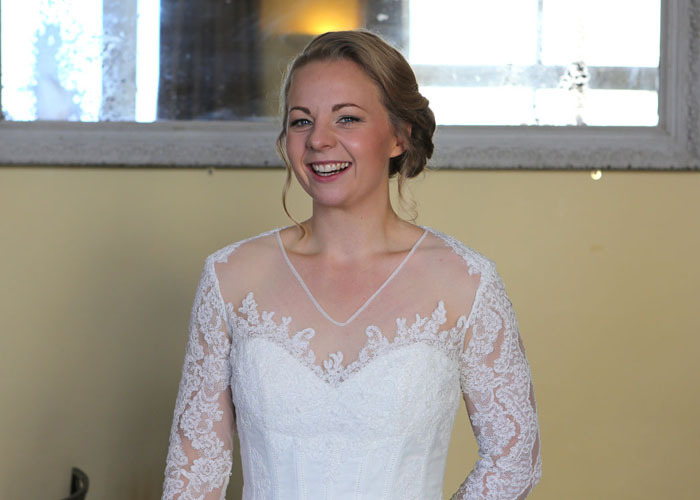 Becki opted for an asymmetric style with the '40s rolls over to one side, along her hairline, and a cluster behind her left ear. There are plenty of vintage make-up looks that deliver a stunning take on the trend. Whether you want a subtle statement or Old Hollywood glamour, there are a multitude of talented make-up artists who can help you achieve your desired look. Give your leading ladies the vintage treatment with a fun and flirtatious dress that connotes a vintage vibe. The Dorothy Dream bridesmaid dress from KittyandDulcie.com priced at an affordable £30 (reduced from £40), is available in dark pink, red, navy, teal, turquoise or light blue to complement your colour scheme. The polka-dot dress also comes with two belts including a spotty and satin version - which can even double as a hair accessory (as pictured). 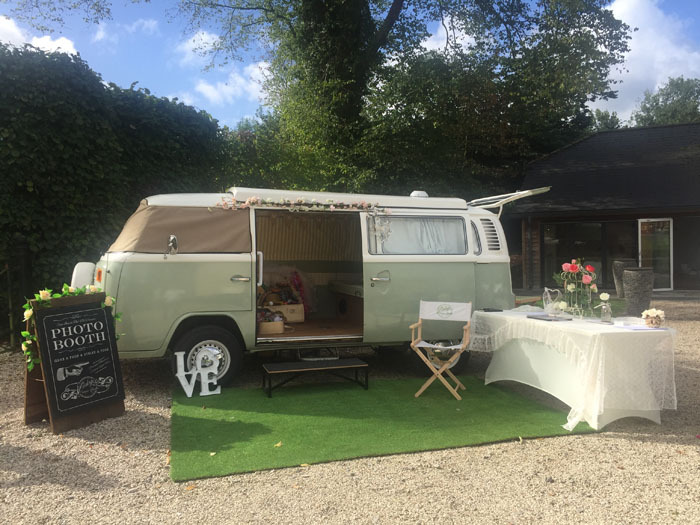 Vintage Camperbooths' VW campervans offer the setting for several themed experiences: a vintage sweetie shop or a champagne stop with vintage crockery. 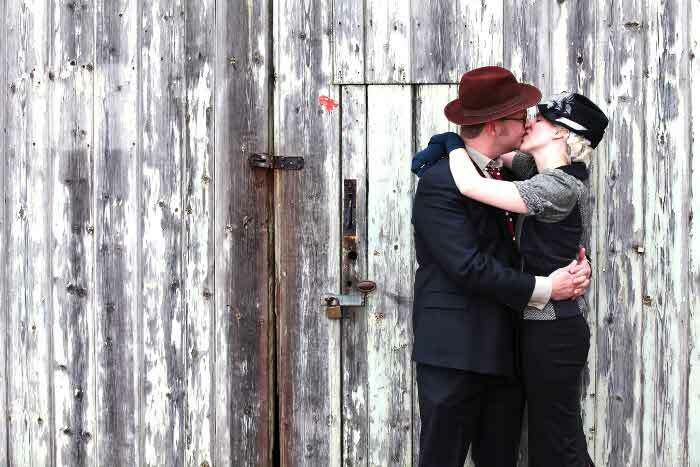 The Vintage Photo Booth Experience is the most popular use, with suitcases full of fun and quirky vintage themed props for photos that you can print out instantly and compile into a personalised Photo Booth Guest Book. Inject personal touches into your table settings with engraved silver cutlery. 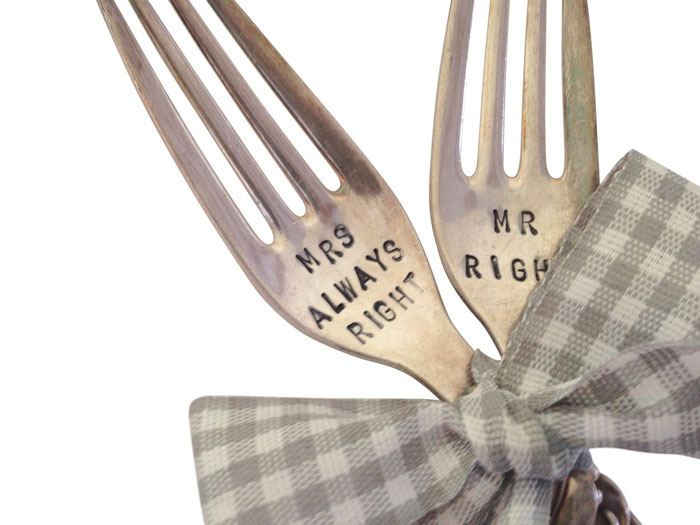 Dawanda.com shop, unique STUFF, can personalise these vintage cutlery sets with a desired caption - such as name or date. 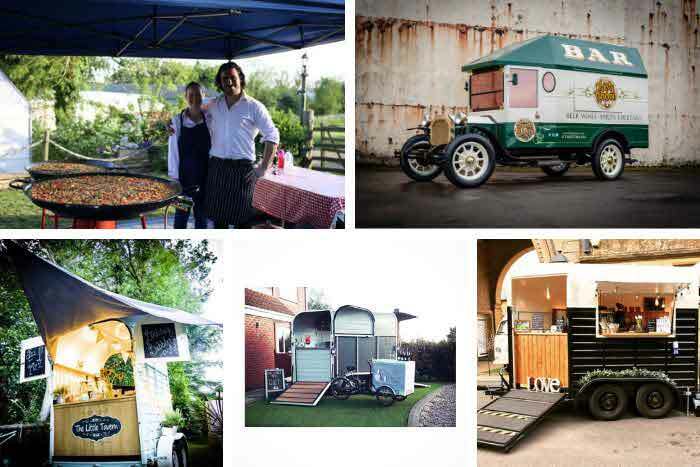 These can also be given as favours for a truly memorable wedding breakfast. Depending on the taste and signature style of the groom, a quirky vintage suit offers a dapper and distinguished look. 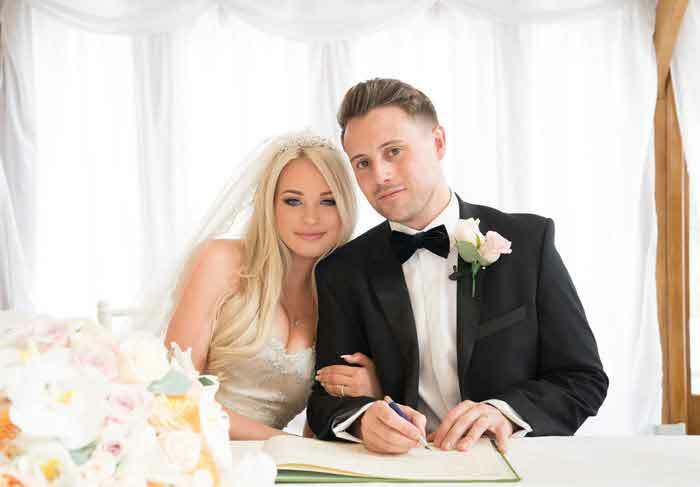 Tweed and herringbone are popular materials, while this floral patterned skinny suit from Noose & Monkey will satisfy any groom looking for a suave style. Team with some suede brogues or loafers, bare ankles and velvet bow tie, or take it one step further with a truly timeless top hat. Take a look on Pinterest and Instagram for the bouquet styles that will satisfy a vintage theme. From faux or real flowers in antique colours, to bejewelled bouquets with feather and brooch adornments, there are plenty of ideas for an old-fashioned flower arrangement. 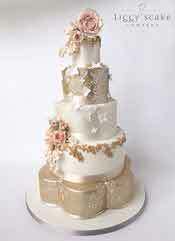 You can take the vintage trend in many directions when it comes to catering and the all-important wedding cake. 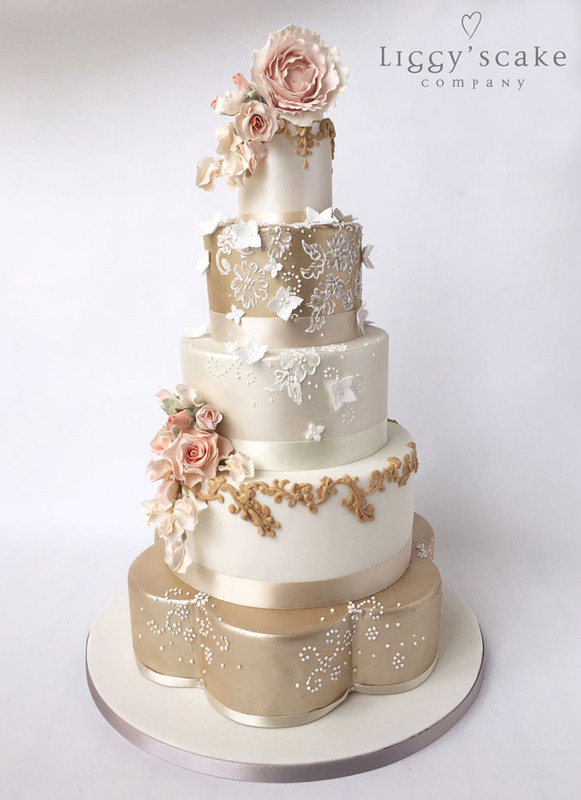 Liggy's Cakes offer this mouthwatering masterpiece: a melding of contemporary metallics and adventurous textures with old-school sugar floristry and royal icing work. 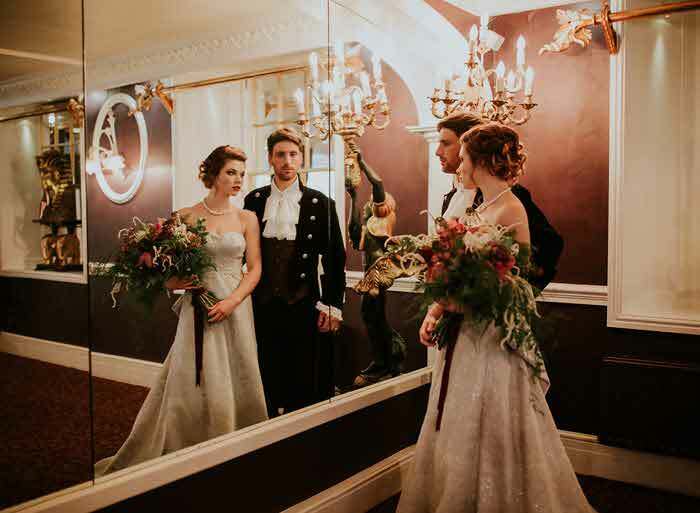 Taken from their new spring collection, the team was inspired by baroque interior design and the feeling of strolling through old fashioned country gardens - perfectly paired with an on-trend colour palette of antiquated dusky peaches, blush pink and gold. Roll up, roll up! 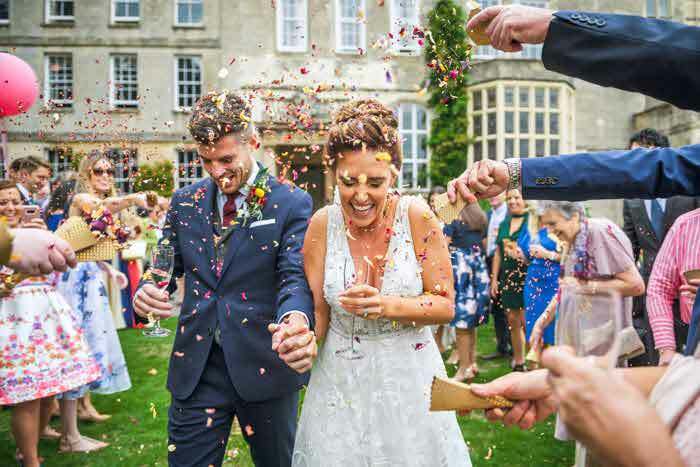 With a weird and wonderful selection of entertainment options and beautiful big tops available, if you're looking to give your wedding the 'wow' factor, Bigtopmania is a good place to start. 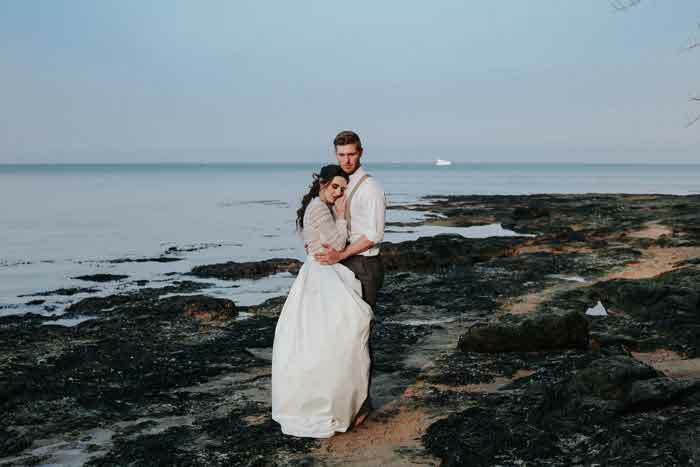 The company provides colourful backdrops to alternative brides and gives your event instant atmosphere. 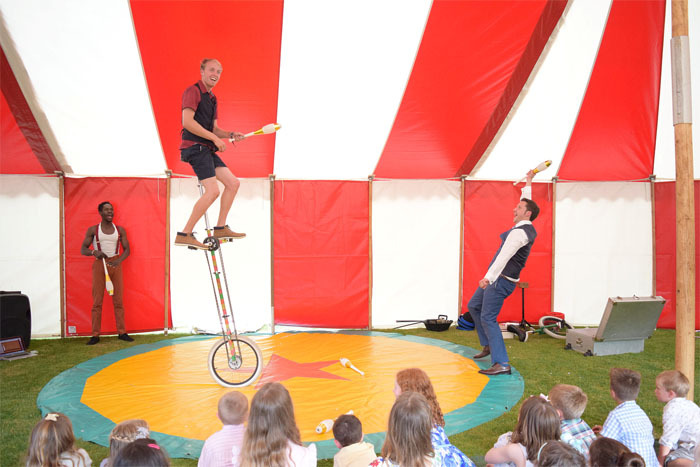 Lucas Jet is one of the company's circus performers, so if big tops aren't your cup of tea, then you can still add some circus sparkle with an action-packed enthralling circus show. 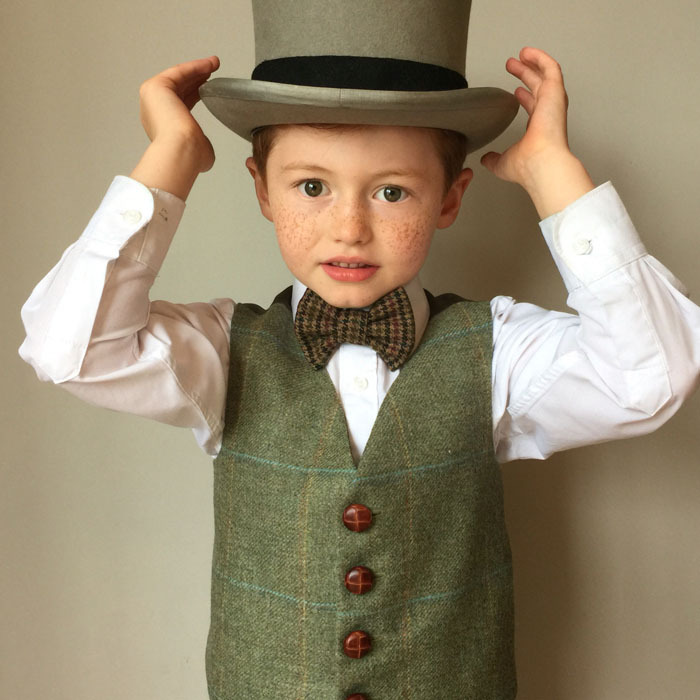 Ensure your page boy is suitably suited and booted, with a dignified waistcoat from littleladiesandlords which can be made bespoke and complemented with bow ties in luxury tweeds and wools. 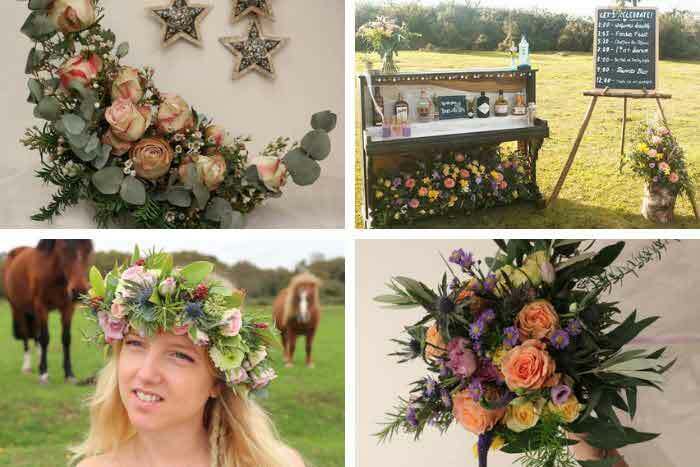 The flower girl is also catered for with a range of timeless dresses that perfectly harness a vintage theme. 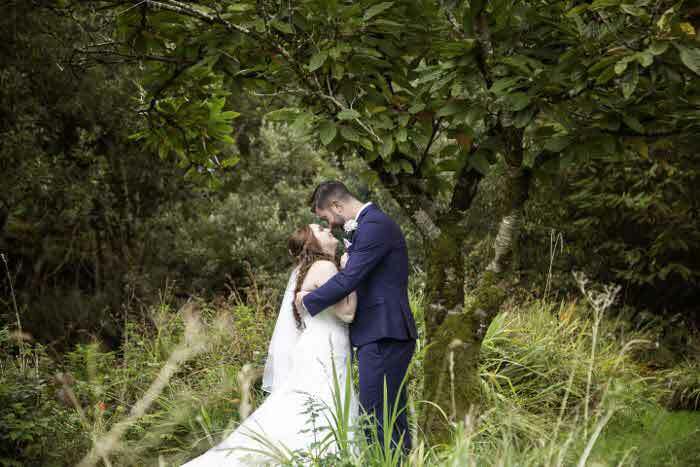 Take the bus to your wedding and travel in style on your special day. 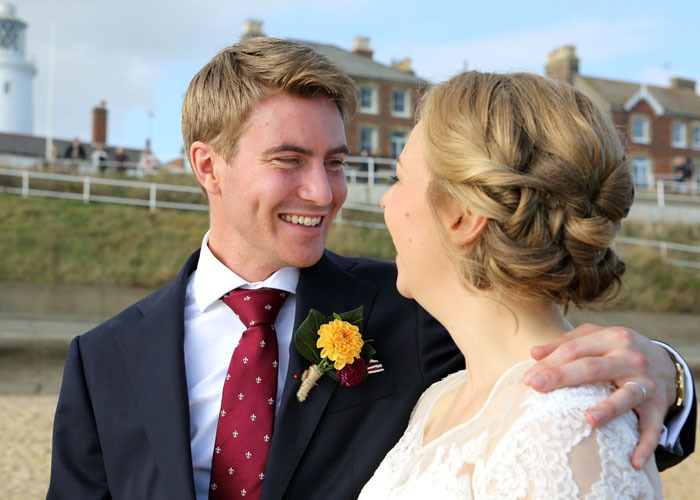 Yorkshire Heritage Bus offers 17 different vintage buses and has provided the transport for more than 600 weddings.